Spacious home and Acreage! 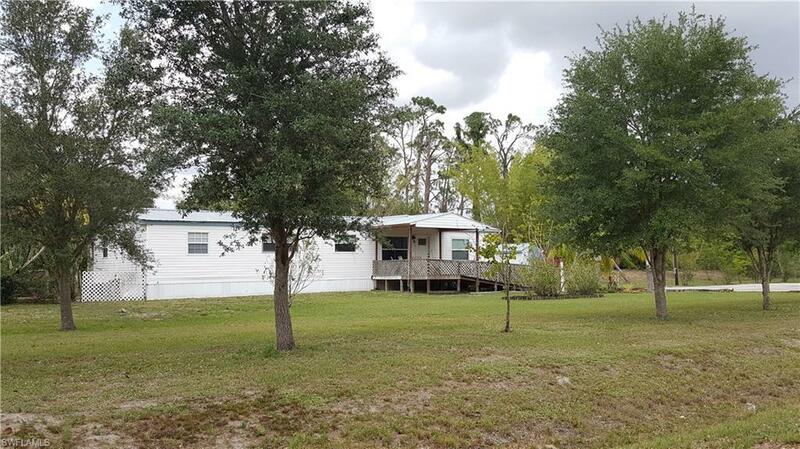 This manufactured home on 1.71 acres west of LaBelle with quick and easy access to Hwy 78 and I-75! Home offers 1, 792 sq. ft living area to include great room for formal living and dining plus separate family room with fireplace. Large Island kitchen with new cabinets and counter tops, new stainless steel appliances and breakfast nook. Many recent renovations to include windows, interior paint, doors and fixtures. Home also has a 49' x 10' finished enclosed porch which could be easily converted to additional living space or Florida room. Covered deck with ramp located at front entrance. Corner property with asphalt paved driveway and large area for parking, 2 storage sheds and new water treatment system. A must see! Selling Office: Priceless Realty, Inc.